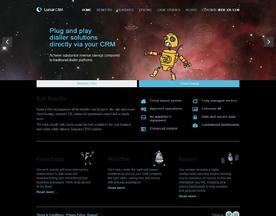 Lunar CRM is an Online CRM for small and medium sized business. We work closely with you to create a fully tailored, bespoke CRM solution. Perfect for outsourced call centres, finance brokers and much more. Think of us as one of the team.